Cracksman's brilliant seven-length win will be long remembered for several reasons: the impressive way the John Gosden-trained colt pulled away from his rivals, the fact that it was his jockey Frankie Dettori's first victory in the race - and that it was a first Group One success in Europe for Cracksman's sire, Frankel, who himself took the QIPCO Champions Stakes in 2012. The Anthony Oppenheimer-owned Cracksman, sent off the 13/8 favourite, had won his last two starts at Group Two level, but this was his debut triumph at the very highest level. Gosden said: "Cracksman is very talented. He loves rearing up and did that in the saddling box beforehand. They went a sensible place and Ryan [Moore, riding Highland Reel] went the Willie Carson route [on the far side of the track]. "Frankie rode Cracksman beautifully and positively in the straight. We said to come wide because the inside has been used a lot today. "He's improved through the year. He ran a blinder in the Derby [to finish third], was unlucky in Ireland [finishing second by a neck in the Irish Derby] but boy, with Capri the form was good, but he seems to have got bigger and stronger. He's like a fighter weighing more now - if he started as a middleweight, he's now a light-heavyweight. He handles this ground; he handles good to firm as well, which is great. He handled the ground probably better than anyone and he's won in true style. "He's grown up a lot. He used to flip and flop about a bit. Coming down Tattenham Corner he got in a dreadful muddle in the Derby, but he's learning to race. I trained his mother for Mr Oppenheimer and she was very tough. She got really good later in the year, and he's one of these horses who's got bigger and stronger. It's great for Frankel to have a son who's won the race he won, and I think it is his first Group One in Europe as well, so that's exciting." Asked whether he would have won the Arc, had he run in it, Gosden replied: "It was a difficult decision but I felt Enable was more in the zone, just a bit more streetwise than him. And Chantilly is not like Longchamp. Andre Fabre would tell you, often the best horse gets in trouble. I was happy with the decision we made and I think it was the right decision." Questioned about whether Cracksman's future might be over a mile and a quarter, rather than a mile and half, Gosden said: "I think he has handled a mile and quarter well today. I think he is versatile now." Saeed Suhail's racing manager Bruce Raymond is excited for next season after 7/1 shot Poet's Word finished a creditable second. Sir Michael Stoute's charge was always prominent under Andrea Atzeni, but was no match for John Gosden's impressive winner, who received rapturous applause from the Ascot crowd as he came home seven lengths clear. Raymond said: "He's run a great race. Of course the ground was very heavy today for him and not many horses like it that heavy but he has gone on it and run really well. 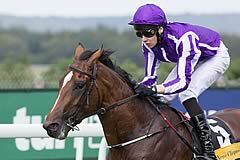 "He looked like being fourth but stayed on well again to finish second so we are delighted with him. "I'm sure he'll definitely come back next year and we have a lot to look forward to. He stays really well and is getting better. 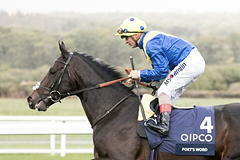 "Poet's Word may go to Dubai early next year as the owner would be keen but we'll see what happens." Highland Reel battled on for a game third on less than suitable ground. Sent of at 17/2, the G1 Coronation Cup and Prince of Wales's Stakes hero pleased connections with Kevin Buckley, Coolmore's UK representative, commenting: "We are very pleased with Highland Reel's run. "Ryan gave him a tactical ride going off on his own, which worked well. 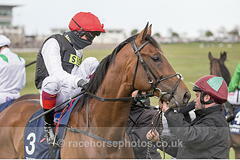 We are really pleased with the way he battled on to be third in ground that he didn't rreally appreciate. "Equally Highland Reel loves Ascot and never gives a bad performance here so we couldn't be happier. "That will put him good shape for his trip to Del Mar and the Breeders Cup." Ryan Moore, jockey of the Galileo five-year-old, added "He ran a super race on ground that isn't really suitable for him." With over £1.3m in prize money, the QIPCO Champion Stakes over 1 mile 2 furlongs (2,000 metres) is the most valuable ten furlong race in Britain. 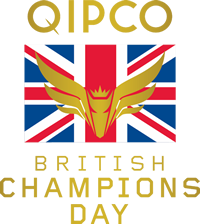 Following on from iconic races like the Investec Derby and King George VI & Queen Elizabeth Stakes sponsored by Betfair, this is the final, pulsating showdown in the QIPCO British Champions Series Middle Distance category. Now it can compete in financial terms on flat racing’s international stage and the 2011 contest attracted a sensational field, packed with many of the world's highest-rated middle distance horses. The brilliant French-trained gelding, Cirrus Des Aigles, defeated the ex-Australian superstar, So You Think, and the exceptional mare, Snow Fairy, with another great mare, Midday, and the King George winner, Nathaniel, behind them. If 2011 was a great start, 2012 was truly exceptional with the world's best racehorse Frankel registering his 14th straight victory on what was the final race of his career. The 2011 winner Cirrus Des Aigles made a bold effort to retain his crown, coming home the length and three-quarters runner-up and he was runner-up again in 2013, this time narrowly beaten by the Godolphin-owned Farhh.